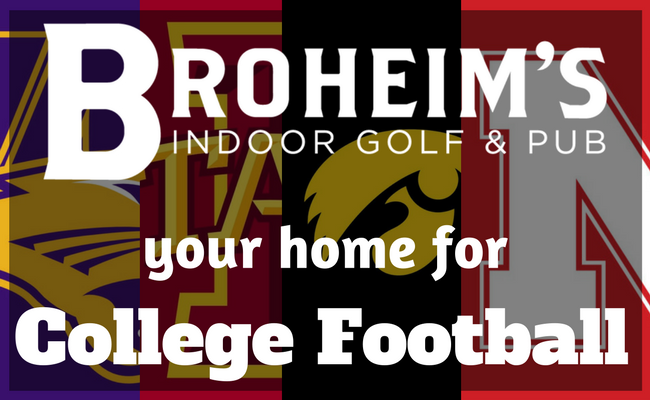 Broheim’s is your home for COLLEGE FOOTBALL!! Come and watch the game on one of our 7 big screen TVs! Better yet – reserve a simulator to watch with your friends on our 17ft WIDE SCREEN! $2 Domestic Drafts during all Iowa, I-State, Nebraska, & UNI football games!! $2.50 Domestic RED BEERS for all you Husker fans!! !